Hello everyone, and welcome to the Weekly Dev Log for the week of March 16th, 2018. 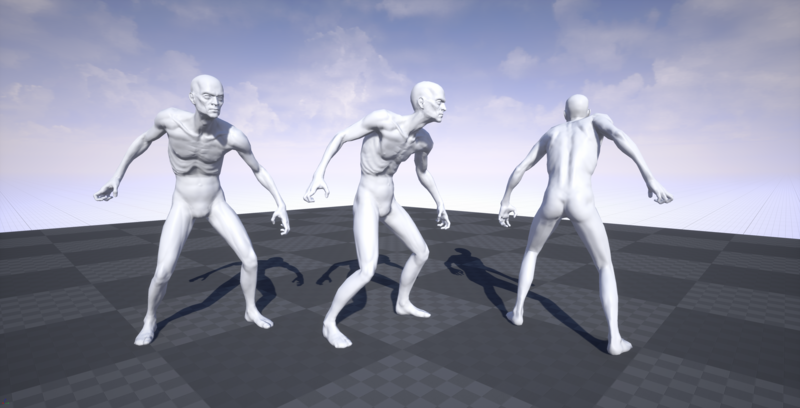 If you haven’t heard, we’ve recently retired our old Daily Dev Log in favor of the Weekly Dev Log, which will allow us to give a broader picture and explain things in plain English, while also including some photos from development. Without further ado, let’s get started. We’ve been working on an update to not only fix issues introduced in 0.4.1.0, but also to include some optimizations and new items. We’re looking to release this update within the next week or so. 0.4.2.0 will include some new items, mainly consisting of items that were already in the game. @JJosh has implemented the Soda Machine, Vending Machine, Canvas Sign, Street Light, Cash Register, Popcorn Bucket, Small Walnut Table, Massive Office Table, Buffet Table, Serving Table, Fancy Chair, Fancy Sofa, Wood Glass Table 2, Small Coffee Table, and the Plastic Bubble Chair. 0.4.2.0 will also contain some optimizations, notably for the Cavnases. We’ve been using the default cube model that came with Unreal for the Canvas Cube, but upon further investigation, we found that this cube was 48 Tris. We created a simpler model which only contains 12 Tris, which cuts the amount of GPU processing by 4. There’s also a change to how URL’s are networked with Canvases, clients connected to a condo will now transmit URLs using a keyed index. What this means, is let’s say we have 500 canvases in a condo with the same URL. If the Condo Host can verify that it’s already sent that URL to the client, the server just has to send the client a keyed index which on the client, will correspond to the correct URL. This cuts down a ton of the networking cost in the condos on loading canvases. 0.4.2.0 will contain fixes for the Bowling issue that was introduced in 0.4.1.0, which was caused by some of our optimizations. You can read the full list of bug fixes here. 0.4.2.0 Update: Scaled down physics objects will stay scaled down when thrown. 0.4.2.0 Update: Sounds will pitch up and down depending on the scaled size of the item. @Lifeless continued working on Trainyard. 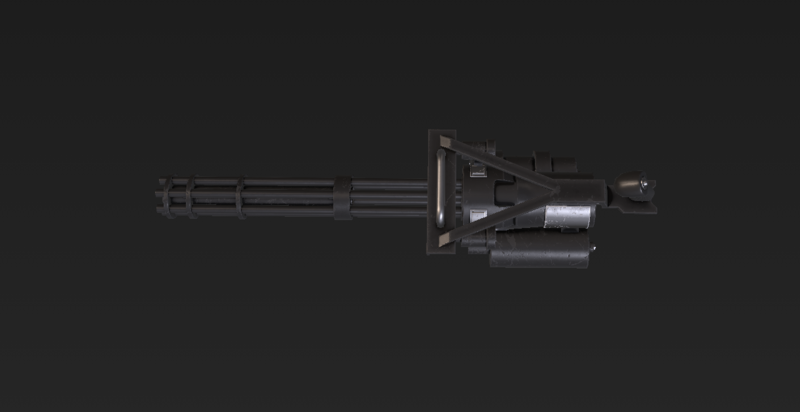 @Matt finished working on the Minigun this week, and is starting work on the Medieval Sword. 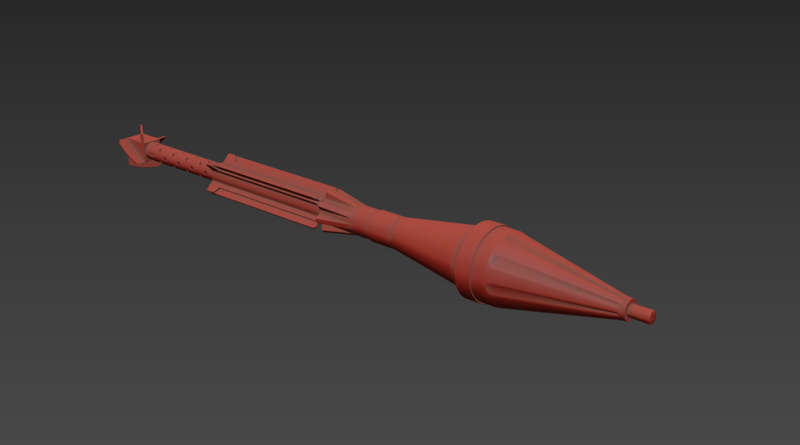 @Madmijk also worked on the rocket for the RPG weapon. 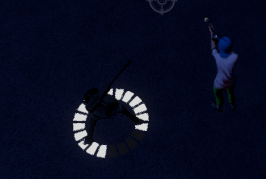 @macdguy added some circle loading UI, to the bottom of the gun turret and on the health UI. @donglekumquat continued working on music for Round 3, Round 4, and started working on the Boss Round music. In addition, he started working on sounds for the turret item. @Johanna worked on some changes to the art in the Plaza, as well as optimizations. She updated some art on the Monorail Canopies, improved textures (including old unfinished textures of hers), and updated textures for the exterior of the Theater. If you haven’t heard, @Caboose700 released Tower Express to the public, and you can read the full announcement here. Most of the work this week was related to Mesh Generation. Aside from this, most of the time was spent on research, trying to find out how to leverage systems already in the Unreal Engine for our own use. @Caboose700 worked this week on inserting some of the achievements that have been defined in our internal lists, into the manifests on Steam’s end. He also started importing the achievement data into the Unreal Engine, and started implementing unlocking the Achievements in Tower Unite. @macdguy worked on some preliminary UI for the Achievements menu. That about covers everything that happened this week at PixelTail Games. We’ll see you all next week, and have a great weekend! The real question is, does resizing the Soda Machine also resize the cans that pop out of it? and the Plastic Bubble Chair. When do you plan to bring the Zombie Massacre Test Beta out? Zombie Massacre is quite a large project. I imagine that won’t be too bad if you spend a bit of time with the Triple Diamonds machines. Time to cover the entire world in soda cans and bring about the apocalypse. I assume it’s hard to sit on the dragon quest slot machine which is basically jackpot central. We can make bowling in our condo from these cans that come out of the soda machine!